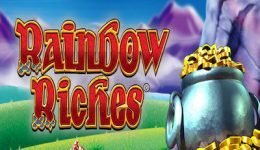 Last week we told you about the new Slingo Rainbow Riches game. Well this week there’s yet another version of the popular bingo/slots game except this one comes with an even bigger twist. Slingo Showdown catapults you to the Wild West for a slots meets bingo meets poker extravaganza – and we have to say that this is the best version of the game to date. Slingo Showdown plays roughly the same as it’s counterparts. In this case you have a 5×5 grid of playing cards instead of numbers. Each game gives you 10 spins and on each spin five cards are shown. Match the cards to those on the grid and they’re shot out. Shoot out enough cards to create lines up/down, right/left and diagonally to earn slingos. Thrown into the mix are jokers and devils to give you the chance to pick cards to shoot out or miss out on a turn. Where Slingo Showdown differs is that the cards you’re dealt on each spin can help you win prizes! The usual poker hands are involved so for two pair you could win 10p (on a 50p play). This increases through 3 of a kind, straights, flush, full house, four of a kind, straight flush, five of a kind and royal flush. The amount you win for a poker hand is then increased between x2 and x30 depending on the number of slingos obtained during the game. Note that it doesn’t matter how many slingos you get during the game as if you don’t hit a poker hand then you don’t win! After 10 spins you’re still invited to play on – provided you’re happy to stump up extra wagers. You can play Slingo Showdown from 20p a game right up to £100. We’d suggest playing at the lower wagering levels first just so you get a feel for the game. Having played pretty much every version of Slingo to date, this version feels a millions time better. 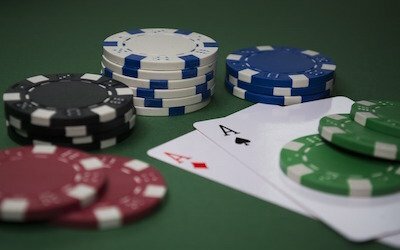 The poker element gives the game another dimension and it seems to make a lot more sense compared to the originals. 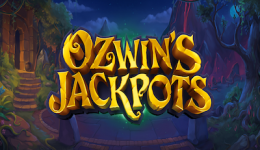 Gaming Realms have come up with a game that incorporates slots, bingo and poker and that’s no mean feat. New Players Only. Varying wagering requirements apply: Slots 60x, Slingo 60x. Transfer cap: £100. Further T&Cs apply. 18+. begambleaware.org.